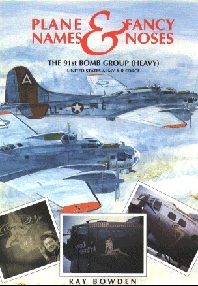 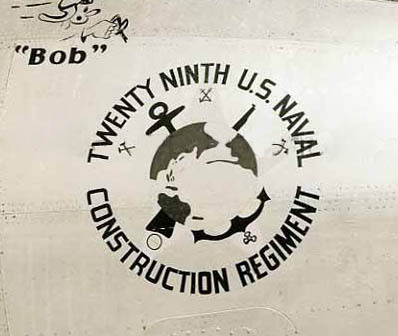 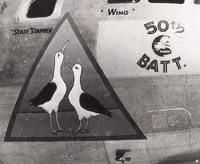 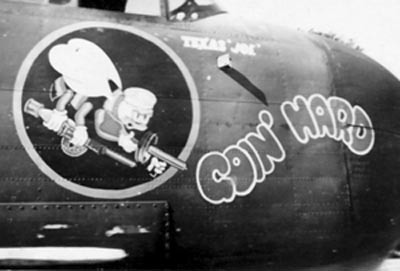 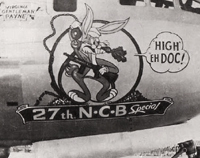 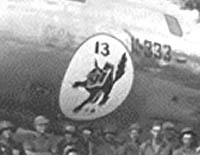 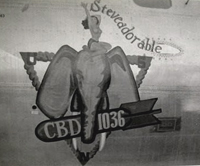 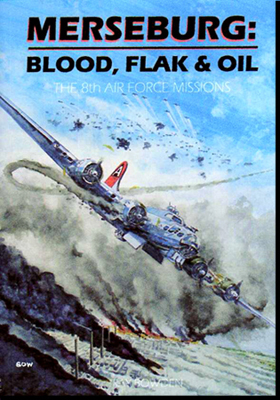 Several B29 Super Fortresses were painted to honour the Naval Construction Battalions(known as "The Seabees"), some 325,000 men, who built the airfields, bridges, roads and hospitals across the Pacific. 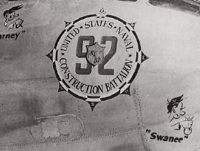 Working alongside the marines, often under fire, they were truly the unsung heroes of the island war. 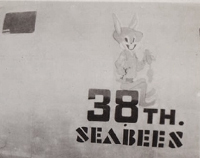 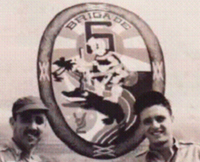 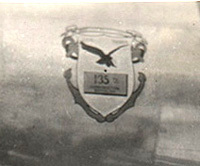 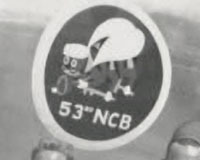 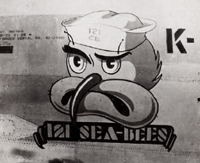 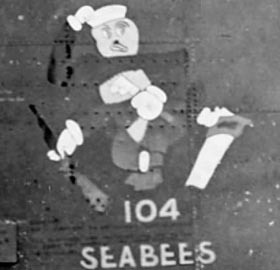 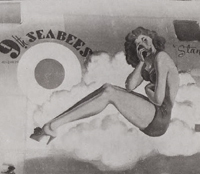 The Seabees emblem was designed by a civilian employee at the Naval Air Station at Quonset Point. 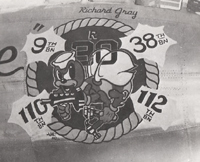 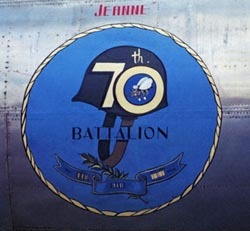 Frank Iafrate had a talent for caricature and was approached by an officer early in January 1942 and asked to design a "Disney-style" emblem for the newly formed Construction Battalions. 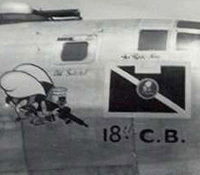 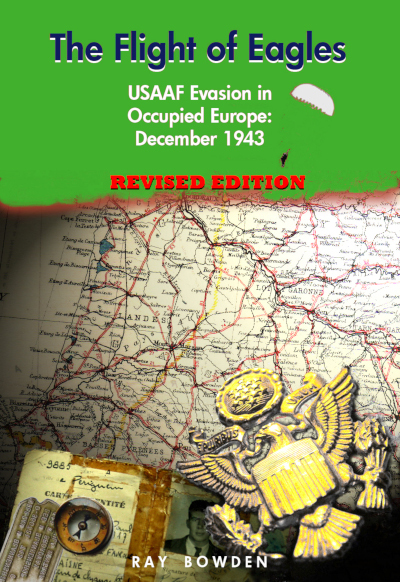 The busy little bee with the sting in its tail was the result and soon adopted for all CB units. 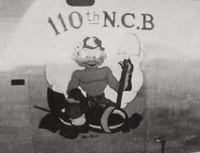 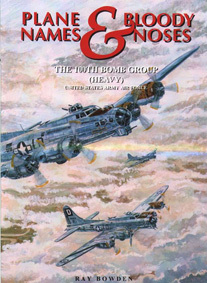 If you have any photos of any of these aircraft or their crews, can add other examples or identify the artists who painted them please share with me.